Why Goo instead of typical wall paint? Why use Screen Goo Basic vs. our standard coatings? Why Use Screen Goo +20 vs. our standard matte coatings? Which product for which projector? My projector isn’t listed on the calculator, now what? How much Screen Goo do I need? Rather not paint Screen Goo yourself? Goo Systems’ Screen Goo products are specially formulated, color corrected, screen coatings in liquid form. They are designed to achieve the highest performance levels possible for a given display situation. Below is a YouTube video showing Goo Systems’ Kevin Nute exhibiting at LDI 2011 in Orlando Florida briefly and graphically explaining What is Screen Goo. Designed for easy application via spraying or rolling, screen goo products can be successfully applied by the novice or professional alike. 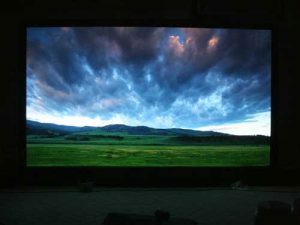 The cost of a great projection screen can be as little as the price of the Screen Goo coating itself – when applied to an available wall space. More dedicated videophiles can investigate the possibilities of elaborate framing systems and custom screen design. Wall paint is designed and engineered principally to cover an underlying surface and to provide color in a room. These are relatively straightforward objectives and they are accomplished by paint manufacturers through the use of an inexpensive dispersion medium (typically, water-based acrylic or an oil-based medium) to which a pigment or pigments are added to provide color. Usually, relatively small amounts of pigment are used and then supplemented with extenders whose main purpose is to reduce the amount of expensive pigment required to produce the desired color. This can be done because the quantity of light reflected by wall paint is relatively unimportant. By contrast, Screen Goo has been specifically engineered to accurately reflect and disperse the complex colored light patterns produced by video projectors. To that end, Screen Goo starts by employing a premium acrylic dispersion with very low light absorption characteristics and excellent durability. To minimize light loss and to ensure color fidelity, Screen Goo uses much greater concentrations of pigment than those found in house paint. These pigments are carefully chosen to accurately reflect the full spectrum of color produced by video projectors as opposed to house paints where the goal is to reflect that portion of the light which produces the single desired color. In addition, Goo Systems employs proprietary dispersion and pigment treatment techniques to maximize the reflective properties of the pigments employed. These techniques require custom built machinery and are very time and labor intensive. Lastly, unlike wall paint which involves the application of a single product, a Screen Goo application consists of two different products. Screen Goo Reflective Coats provide an ideal reflective surface to which a diffusive, color correct Finish Coat is added. It is the combination of the reflective Reflective Coat and the diffusive Finish Coat which gives a Screen Goo screen its remarkable qualities of high reflectivity, color accuracy, wide viewing angles and excellent contrast. The icing on the cake is the very special sense of image depth, or feeling of looking into the picture that only a Screen Goo screen provides. Why a Grey coating instead of white? One of the key properties of high quality projected video is contrast. Contrast is defined as the difference between the brightest and darkest portions of an image. The latest generations of digital projectors have very little difficulty in producing high levels of brightness. However, the darker areas of an image, specifically black areas, are a different matter entirely. Black is defined as the absence of light. Any light in a room, even light produced by the projector and reflected from the room’s wall and ceilings, will compromise the accurate reproduction of black. By using a neutral grey reflective surface, or screen, the levels of incidental or unwanted light can be significantly reduced without affecting color accuracy and overly compromising image brightness. Less unwanted reflected light means better black levels, which in turn means enhanced contrast. 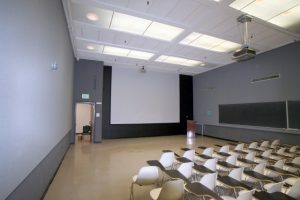 Unless the viewing room is completely light controlled, including dark, non-reflective walls and ceiling, a grey screen will always provide better black levels and higher contrast than a white screen. Goo Systems’ “Which Goo” online calculatorwill help you decide which of the Screen Goo grey coatings will provide the maximum possible contrast in your room with your projector. To determine the most suitable Screen Goo coating for any project, consideration needs to be given to Image Size, Projector Light Output, Ambient Light Levels and Content. You can determine Which Screen Goo you will need for your application by running our Goo Systems Product Calculator. Simply select “Other” from the projector drop down menu and enter the requested projector specifications. You can then proceed as if your projector was one the models already listed in the projector drop down menu. What Can I Put It On? 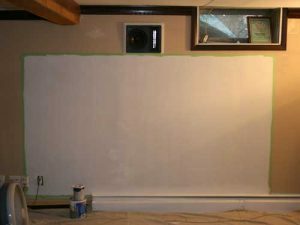 Front projection Screen Goo can be applied to any smooth paintable surface. Many materials other than the products listed below can be used successfully. For best results the surface should be flat and smooth. If this surface to be coated is not smooth, it should be sanded down and wiped off prior to applying the Screen Goo Reflective Coat. Porous surfaces such as drywall, gyproc, and wood based materials such as plywood, particle board, MDF, should be sealed with a flat, white latex primer prior to applying Screen Goo Reflective Coat. Colored surfaces should also be primed with a flat, white latex such as Screen Goo Premium 100% Acrylic Base Primers. A primer or undercoat is a preparatory coating put on materials before painting. Priming ensures better adhesion of paint to the surface, increases paint durability and provides additional protection for the material being painted. Screen Goo Premier Primer is a non-toxic, 100% acrylic, water-based coating. It is suited for priming all porous surfaces such as drywall, plywood, plaster and masonry. Its principal advantage over conventional primers is its 100% acrylic base. The vast majority of water-based primers include a class of budget medium/extender called PVA which is substituted for a pure acrylic base for cost reasons. PVAs, however, are very susceptible to yellowing when exposed to UV light and will eventually discolour and compromise the performance of Screen Goo. Please note that Screen Goo Premier Primer is not a replacement for Urethane Modified Acrylics (UMA) for non-traditional and solvent-based surfaces. It is NOT to be used on metal, fiberglass etc. For that we suggest UMA by XIM or Pro-Cryl from Sherwin Williams. Sintra Board – Sintra board is an excellent material to apply Screen Goo front projection coatings to. It is very hard and durable and requires no priming prior to being “Goo’ed”. It is, however, somewhat floppy and should be supported to ensure a flat viewing surface. We suggest choosing white and a minimum 6mm thickness. Gatorfoam – Gatorfoam is another excellent choice for “Goo’ing”. It is light weight and rigid enough to be self-supporting. It is, however, prone to denting and should probably not be used in high traffic areas or to stop hockey pucks. No priming is required. We suggest choosing white and a minimum 1/2 inch thickness. Blackout Cloth – 3 pass foam, sometimes called blackout cloth, is an excellent fabric substrate for a front projection Goo application. No priming or special preparation is required before “Goo’ing”. This material can be used with a stretcher frame to make a lightweight, portable Goo Screen. It is sold by the yard and available in widths up to 110″. Rolled Screen Goo applications are not recommended for blackout cloth. Spraying will give optimal results with this substrate. The same techniques apply to Screen Goo 100% Acrylic Premier Primer and Screen Goo 2.0. Most Goo 2.0 applications will call for one coat of Premier Primer and two coats of Screen Goo 2.0. The exception is Ultra Max 2.0 which calls for a single coat of 2.0. Given how flat and smooth Screen Goo 2.0 lays after application, there’s no real performance benefit to a sprayed application on a flat surface. In most circumstances involving a flat, two-dimensional surface, rolling will be the preferred application method. However, the world isn’t flat and projections on three dimensional surfaces are increasingly common. Hemispheres, compound curves, 3D models and more are all becoming popular grounds for projection. Since a roller won’t cover these types of shapes, spraying is the only application option for incorporating all of Screen Goo’s benefits to non-2D surfaces. Screen Goo 2.0 has been engineered to spray beautifully and competent, practiced sprayers will achieve brilliant results. For new construction with drywall: please have your drywall contractor perform all the steps: taping, mudding, sanding and skim coating, required to create a Level 5 drywall finish but instruct them NOT to prime the surface. For existing painted surfaces: if you know that your wall was painted with a water-based latex paint and that it’s acceptably smooth (no visible texture under bright light from the nearest viewing position), making sure that the surface is clean and grease-free is the only prep required. If you’re not sure what type of paint is on the wall to be coated, you should apply a coat of a urethane modified acrylic primer (UMA by XIM or Pro-Cryl from Sherwin Williams) to the surface prior to starting your Goo application. You’ll want to use 1/4” nap roller covers, either soft woven, lint-free or smooth micro-fibre to apply Screen Goo 2.0 and Screen Goo Premier Primer. Soft woven and, to a lesser extent, micro-fibre roller covers are directional in that rolling in one direction lays the fibres down while rolling in the opposite direction picks the fibres up. You want to be sure that when you’re rolling downwards from top to bottom that you’re laying the fibres, and thus the Screen Goo, down. Pour some Screen Goo into your paint tray. Dip the roller into the paint reservoir in your paint tray and then squeeze out the excess paint on the sloped and ridged part of the tray. Starting at either side of the surface to be coated (right handed folks usually start on the left), paint two full height vertical columns, side by side with about 2 inches of overlap, dipping lightly into the tray again if more paint is needed. Start your columns at the mid-height point and work upwards to the top before working back down again. After you’ve painted your first two columns you’ll want to finish them off using a back-rolling approach. To start back rolling, your roller should be as ”empty” of paint as possible. Start at the very top of your surface and, using just enough pressure to keep the roller turning, roll all the way to the bottom of the surface WITHOUT STOPPING OR PICKING UP THE ROLLER. Proceed in this manner all the way across your surface. When you’re done, have a look at the surface from the left and the right at 45 degree angles. If the coating doesn’t look uniform, repeat the back-rolling process all the way across the surface starting from the side you finished on: i.e., if you painted from left to right, do your final back roll from right to left. So, You Want to Spray? Best to call us to discuss your project. Live tech support is available 9am to 5pm Eastern (GMT -5) Monday through Friday. A new video series is being produced in parts to attempt to educate Screen Goo users on the various aspects of Rolling and Spraying of Screen Goo. See how it is done right! Here is a typical properly executed Screen Goo rolling job done by the folks at Watten Painting shown here in another attempt to educate Screen Goo users on the various aspects of Rolling Screen Goo. Step 1 – Choose the right roller: We suggest using a 1/4 inch nap, wool and polyester blend roller. Choose a roller whose label indicates that it is for smooth and gloss surfaces. We do NOT recommend using foam rollers. Step 2 – Surface Preparation and Determination of Screen Size: Screen Goo can be applied to any smooth paintable surface. Many materials other than the products listed above can be used successfully. For best results the surface should be flat and smooth. If the surface to be coated is not smooth, it should be sanded down and wiped off prior to applying the Screen Goo Reflective Coat. Porous surfaces such as drywall, gyproc, and wood based materials such as plywood, particle board, MDF, should be sealed with a flat, white latex primer prior to applying Screen Goo Reflective Coat. Drywall surfaces should be finished to a minimum Level 4 standard when applying our matte coatings (Reference White, High Contrast, Max Contrast); Level 5 finish is preferable and highly recommended. 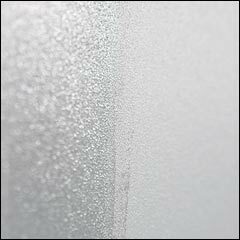 You can download a document defining levels of dry wall finish here. Colored surfaces should also be primed with a flat, white latex primer. Step 3 – Reflective Coat: Rolling this product is a bit trickier than rolling normal latex paint. This means that attention must be paid to application method and roller handling. Some users report improved results with a light sanding of the Reflective Coat; we see no disadvantage to this, but only the Reflective Coat layers should be sanded and then only after allowing for a minimum 24 hour drying period prior to sanding. Place about 200mL of Reflective Coat in the paint tray to do your first coat. Dab some on one side of the roller, rotate and dab some on the other. Squeeze out any excess coating by rolling on the slanted portion of the paint tray. Don’t press too hard. Depending on your screen height, you should have enough paint on the roller to complete approximately two adjacent vertical columns. Roll the coating in columns using vertical strokes covering the full height of the screen. The coating density should be just sufficient to cover the underlying surface. After the first column is complete, apply the second full column, adjacent to the first, with a slight overlap between the columns. The roller should now have very little paint left on it. You’re now ready to do your first finishing stroke. Center the roller above the overlap, making sure the open end of the roller (which receives less pressure) is facing the just coated side of your screen surface, so that the overlapping layer will have a lightly feathered edge. The wire support side of the roller mechanism naturally presses harder on the surface of the screen, so it should be oriented to the least recently coated side of the screen. Using just enough pressure to get the roller turning, do an uninterrupted stroke from just above the top edge of the screen to just below the bottom edge. It’s important not to stop the roller during the finishing stroke as this could cause marks in the finished surface. Following the same procedure, roll two adjacent columns at a time with finishing strokes in between until you’ve covered the entire viewing surface. Allow the Reflective Coat to dry thoroughly (typically 1-1.5 hrs.) and then repeat the above procedures for the second layer of Reflective Coat. Even after following these instructions to the letter, your wet surface will have a streaky appearance and the overlaps between the columns will be clearly visible. THIS IS NORMAL! While we realize that this is a bit counter-intuitive, LEAVE IT ALONE and the surface will dry to a uniform consistency and color. Resist the temptation to go back over your work because re-rolling the coating after it has begun to dry (about 2-3 minutes after application) will cause textural differences, potentially resulting in permanent streaks. The following before and after photos show what you can expect a correctly applied wet surface to look like and the uniformity of the same surface after it has dried. There’s also a screen shot of an image projected on that same surface. Step 4 – Finish Coat: After allowing the Reflective Coat to dry, carefully repeat the above procedures to apply two coats of Finish Coat. Very important! The finishing strokes should be done no more than 2-3 minutes after the original paint strokes in a given area. Attempting finishing strokes after this time period has elapsed will cause the appearance of vertical streaks. This is the result of a difference in texture caused by re-rolling coating which has begun to dry! UNLIKE Reflective Coat, THE Finish Coat LAYERS MUST NOT BE SANDED OR ABRADED UNDER ANY CIRCUMSTANCES. Step 5 – Ultra Black: Your Goo Kit includes a 250mL jar of Ultra Black, a specially formulated light absorptive coating, and a foam applicator brush. This is to permit the creation of an optional black border around your screen. The simplest method of creating a border is to purchase pre-cut wood trim at your local hardware store, coat it with the Ultra Black and install it around your Goo viewing surface. If you wish to apply Ultra Black directly to your wall, use a good quality painter’s tape and mask out an area 2-3 inches around the perimeter of the viewing area and then apply the Ultra Black with the provided foam applicator. The Finish Coat surface must be thoroughly dry before applying masking tape (minimum 24 hrs). After allowing 4-6 hours for the Ultra Black to dry, slowly and carefully remove the painter’s tape covering the border. Close up of a fresh Finish (Top) Coat application over the dry Reflective (Base) Coat layers. A visible texture is desired. performance will continue to improve for up to 3 months by which time The acrylic mixtures should be fully cured and clarified. Following these instructions when applying Screen Goo will give you a uniform high-performance screen surface that will look fantastic for many years to come. Sit back and enjoy, you won’t believe your eyes! PLEASE NOTE; THESE INSTRUCTIONS REFER TO APPLICATIONS OF SCREEN GOO REFERENCE WHITE, HIGH CONTRAST AND MAX CONTRAST COATINGS ONLY. Surface Preparation: Please ensure that the surface to be coated is clean and grease-free. The smoother the surface the better the finished product will be. Porous surfaces such as Drywall, Gyproc, and wood based materials such as Plywood, Particle Board, MDF, should be sealed with a 100% water-based acrylic primer or a urethane modified acrylic primer prior to applying Screen Goo Reflective Coat. Drywall surfaces should be finished to a minimum Level 4 standard when applying our matte coatings (Reference White, High Contrast, Max Contrast); Level 5 finish is preferable and highly recommended. You can download a document defining levels of dry wall finish here. Coloured surfaces should also be primed with a 100% water-based acrylic primer or a urethane modified acrylic primer. User Preparation: Experienced spray painters will find Screen Goo quite easy to work with. If you’ve never used a paint sprayer before, please consider doing a rolled application instead. If you’d like this to be your first venture into paint spraying, may we suggest that you take the time to familiarize yourself with your equipment by experimenting with some less expensive coatings in inconspicuous areas, prior to attempting your Goo masterpiece! Suggested equipment: For applications of less than 100 square feet we recommend using an HVLP and/or pressurized cup spray system employing a gun with a 1.5-2mm tip diameter. The specific type of gun is less important than the user’s familiarity with it. It is very important that none of the spray equipment be contaminated with solvent-based coatings or cleaning agents as these will ruin the water-based Screen Goo coatings. Reflective Coat: Screen Goo Reflective Coats can be thinned up to 10% by volume with filtered or distilled water prior to a sprayed application. Polypropylene Glycol-based drying retardants, such as Screen Goo Flow Release, may also be used according to the manufacturer’s instructions for water-based acrylic coatings. Finish Coat: Follow the same procedure as for the Reflective Coat. NOTE: In the interest of simplicity and to cut through to the chase and all the mumbo jumbo we would like to publish the following short videos of spraying 2 coats of Screen Max Contrast Reflective coat followed by 2 coats of Screen Goo Ultra Silver 3D, admittedly one of our most challenging coatings, by a painter with very basic spray equipment in Myanmar (! ), yes Myanmar – formerly Burma – look it up on a map – a country not at the cutting edge of technology, to say the least! 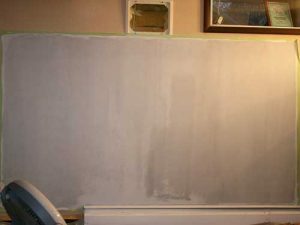 Several factors affect the drying time of latex paint. The humidity and temperature when the paint is applied has a significant effect. The method of application makes a difference, as does the sheen and even paint color. The directions on the label give you a general idea of how long latex paint needs to dry between coats, but sometimes you need to wait longer than suggested. Understand Drying Time and Curing Time: While latex paint usually dries to the touch within an hour (meaning lightly running your finger over it does not mar the paint) it can take up to a month to cure to its final hard finish. This is becasue latex paint forms a dry skin on the surface but the underlying paint is still wet. The liquids in the paint must completely evaporate through the dry skin to be considered cured. Re-coating too soon can affect the look and performance of your paint job, both in drying and curing rates. Average Re-Coating Times: The general recomendation for drying time between coats is four hours for both interior and exterior latex (water-based) paints. However take the temperature and humidity levels into consideration. For ideal drying times, the temperature should be 70 degrees F with 70% humidity or less, and a light breeze or sufficient air movement to help the paint liquids evaporate. In cooler temperatures, or when the humidity is high, allow more time between coats. Re-coating too soon can result in an uneven sheen and very long curing times. Applying too many coats too close together can also make the paint bubble and blister as the underlying paint liquids force their way through the paint film. Some properties in the paint itself affect drying time. Deep colors may take longer because of the higher amounts of tint in the paint. Flat paint dries slower than shinier paint. Latex dries more quickly on porous surfaces like drywall, and paint applied with a sprayer or heavy-napped roller usually produces a heavier, slower-drying film. When in doubt, it’s wise to allow a little extra time for the paint to dry between coats. If the humidity level is very high, put a dehumidifier in the area to speed dying time. At humidity levels at 90 percent or higher, the paint may never dry and will certainly never cure. Painting Over Latex Primer: Many primers are latex and some require different drying times than regular paint. Always read the label. Some latex primers should re-coated within 48 hours for maximum performance, while others can be re-coated any time after the reccomended drying time. Painting a Screen Goo screen is fairly easy and straightforward, especially if it is Rolled. Spraying does require a bit of expertise with spray guns, air pressure, tip diameter, etc. etc. and is a bit trickier. You can get some fairly comprehensive Application Instructions here.While many of our customers like to roll up their sleeves and do things like paint Goo screens and install projectors on their own, we realize that many of you (from your phone calls and emails) would prefer to have their installations done professionally. We’ve teamed up with our US sales office and our extensive representative network to bring you a unique resource: Find a Goo Installer. We are pleased to mention that Sherwin Williams, one of the largest paint manufacturers/distributors in the world with 4,080 stores all over the world (as of JAN 2016) is also a Screen Goo Reseller where consumers can find or order their Screen Goo from. Sherwin Williams stores have a vast knowledge of professional painters located in their city. So, the best way to avail yourself of a referral or two for qualified painters to do your Screen Goo project is to first go to the Sherwin Williams Store Finder webpage, type your Zip Code and find the store closest to you, call them up and ask them to (a) order the Screen Goo you need and (b) to provide you with a referral of someone in the area to do the painting for you. Like we said, there are about 4,080 Sherwin William stores worldwide and some of them are much more familiar with Screen Goo than others. Should your local store not be as knowledgeable about Goo as you might like, please contact us and we’ll work with the store on your behalf. One of the things you can do with Screen Goo is make screen of ANY SIZE and/or ANY SHAPE. In this case you may need to join 2 or more pieces of a substrate surface – PVC, PCB, MDF, Wood, etc. etc. – in order to make a large single surface. Our second important suggestion is that the mudding or putty or compound or any other material that covers the joint between the substrate pieces is NON-SOLVENT-based. Solvent-based materials will come through the paint and will destroy your work. In any case you will need to make sure that the mudding that covers the joint between the pieces has COMPLETELY DRIED and CURED, BEFORE you apply your Screen Goo Reflective Coat and then Finish Coat, otherwise the wet mudding may come through the Screen Goo coatings and be visible when you throw your projector’s strong light on it. You also may need to seal the surface with a flat, white latex primer prior to applying Screen Goo Reflective Coat followed by the Finish Coat. Faint vertical lines or streaks may be visible where your roller patterns overlap. These are not unusual and in almost all cases they will clear up on their own as the coating cures.It is also possible and/or likely that the streaks are a function of your top Finish coat application or simply a matter of ambient humidity retarding the drying process. As a troubleshooting exercise, run your fingertips very lightly across an area where the surface transitions from a lighter to darker area. If you feel a change in the texture of the surface then you’ll need to apply one more coat of Finish coat to correct the problem. If the texture is uniform then the surface will cure to a uniform appearance. If you can still see these lines 4-6 weeks after application, please contact us for assistance. A rolled Goo screen will have a slightly bumpy or “orange peel” texture to it. This is entirely normal. Do not attempt to sand or otherwise smooth the surface as this will compromise the performance of the screen. A Screen Goo finish is very matte and such finishes are, by nature, porous. This means they hold dirt more aggressively than semi-gloss or gloss surfaces. Care should be taken to keep the surface dust and dirt free. Matte surfaces can be damaged by forceful scrubbing and abrasives of any kind should never be used. Vacuum the surface using a soft brush attachment, removing any dust and debris. Prepare a bucket of warm, mildly soapy water. A tablespoon of dish soap in a 5 gallon bucket is suggested. Using a soft, well-wrung sponge, to avoid any drips, gently daub and rub any sticky dirt off the surface. Still avoiding drips, gently sponge wash the entire surface. Using a bucket of clean water and a fresh, well-wrung sponge, rinse the surface of any remaining soap residue. Dry the surface with soft, lint-free cloths. Gently daub the rinse water off the surface, again avoiding scrubbing. You can also go here for a video on how best to clean a Screen Goo coated surface. Screen Goo Rear Projection and Infra-Red Light? Screen Goo Rear Projection coating does not permit the transmission of 850nM Infra-red light. Building Information Modeling (BIM) Files included in this download are Screen Goo – Reference White, High Contrast and Max Contrast Coatings. NOTE: You will need to have Autodesk Revit Architecture/Building Information Modeling (BIM) software installed and opened in order to open these files after you download and unzip them. SATA spray gun settings – SATA of Germany, manufacturers of premium spray gun systems, have developed a detailed list of optimized settings for the use of three of their guns for applying Screen Goo.